You can be a part of a LEAD student’s overseas journey! God calls his people to certain places on the Earth. But he also said, GO. An experience in a different culture in a different part of the world can impact a leader’s life in ways they never thought possible. LEAD encourages these experiences to the point of making an overseas trip part of the LEAD Program’s curriculum. There are countless stories of people seeing the vastness and greatness of God in new ways after realizing how big and diverse and grand his creation and people are. We welcome support from friends and family of our students, allowing them to join in on the journey, and the impact it will leave. Thank you for joining this experience. Your donation has the ability to change a person’s life, and leadership. The Middle East is often seen as a dangerous and unstable place. It is actually a vibrant region where culture is deep and beliefs are deeper. These beliefs make it difficult for LEAD to be open about what activities our students will take part in and with who. It also makes it difficult to say where exactly students will be traveling to. But the opportunities are impacting, and the relationships meaningful. The main opportunities will involve ESL with locals interested in strengthening their language skills. You can support a student’s trip to the Middle East! 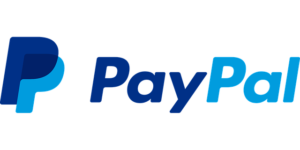 Just click the Paypal icon below to submit your donation. Thank you for helping one of our leaders in their journey! Envision France serves primarily in the city of Paris. Paris is known as “the city of lights”- however, the spiritual darkness is great with less than 1% of the population having a relationship with Jesus Christ. Paris is an international city with people from around the world coming to live, work, and study. Many of the people feel lost and disconnected and are searching for love and community. The C&MA has 12 churches in the Paris region. Envision France focuses on building relationships and community among those who feel lost and disconnected, bringing them the hope of Jesus Christ. Working with established churches, an outreach center, and new Christ movements, Envision France is bringing the True Light of Jesus Christ to the City of Light. You can support a student’s trip to France! The Envision site in the Dominican has the great privilege of partnering with the Dominican Alliance church and helping to create healthy, growing churches. During the next couple of summers, the site will partner with the national church to build a national church camp. Envision DR also has the privilege of working in sports ministry, children’s ministry, hosting medical teams, as well as many other things that are all run through the local church. The children’s ministry includes a great working relationship with Compassion International and One Child Matters. You can support a student’s trip to The Dominican Republic!